GANGNEUNG, South Korea (AP) — She had always rooted only for Koreans. That was her home team and she believed they, exclusively, deserved her cheers. 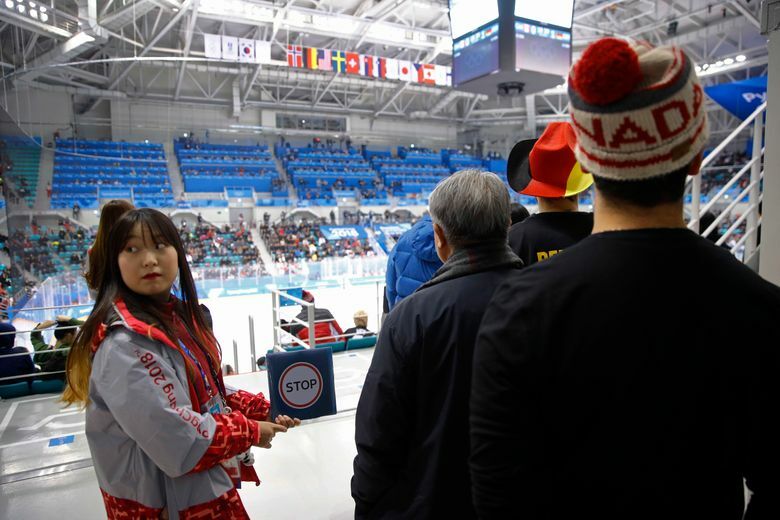 She stood on the sidelines in the speedskating oval in her gray and red uniform, the ubiquitous getup of Pyeongchang’s army of volunteers that allowed her closer to the action than most ordinary people. 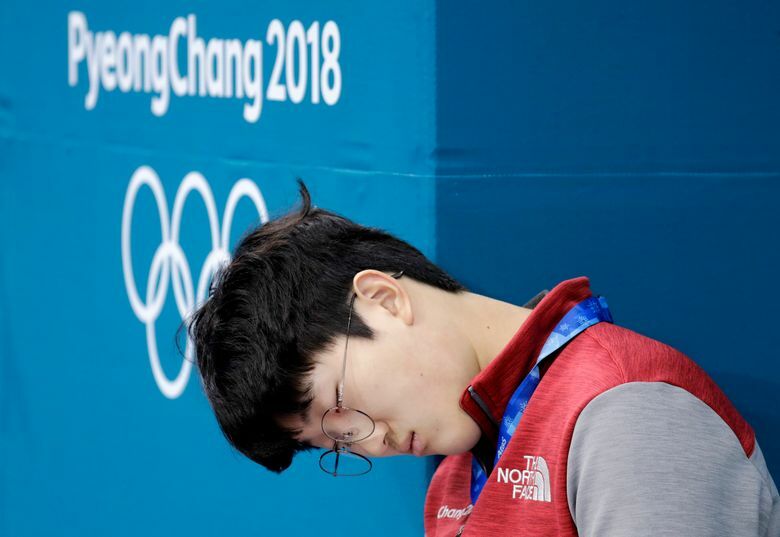 The Korean skater trailed in fourth place with little chance to make it to the podium. 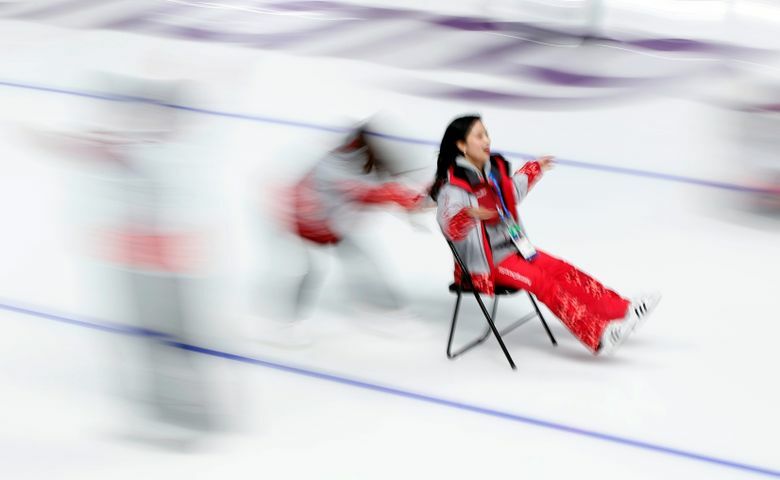 Until: a skater in front from a country 5,000 miles away crashed into the wall, and the Korean sped across the finish line in third place. She thought she would be ecstatic. But in the fallen skater’s face she saw, up close, a million emotions — defeat, pain, regret. 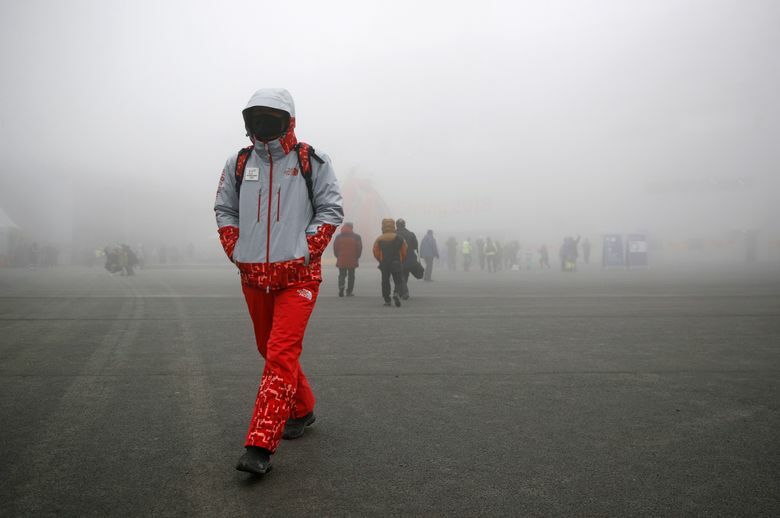 In that moment, she felt what Olympic organizers always describe the Olympic spirit to be. Underneath all that money is a workforce willing to run the Olympics for free. Some volunteers are former athletes, some are doctors, one is a small-town mayor. They come from all over the world — Russia, China, the United States. The oldest is 88. 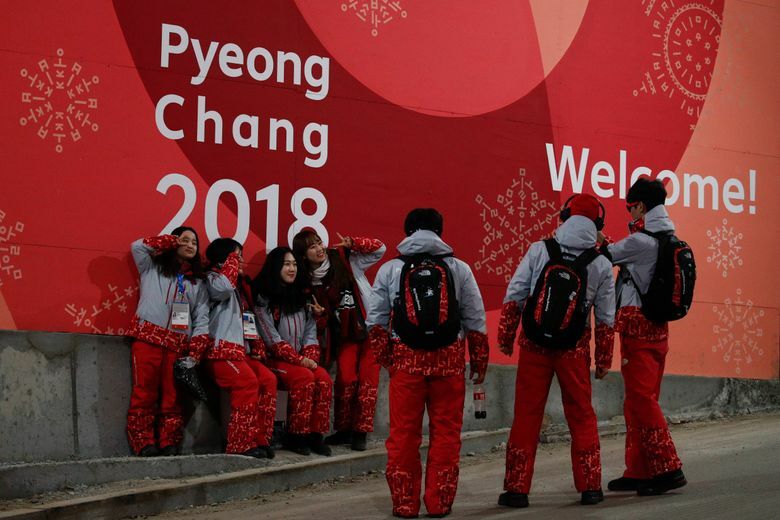 But the vast majority of volunteers in Pyeongchang are young Korean women. 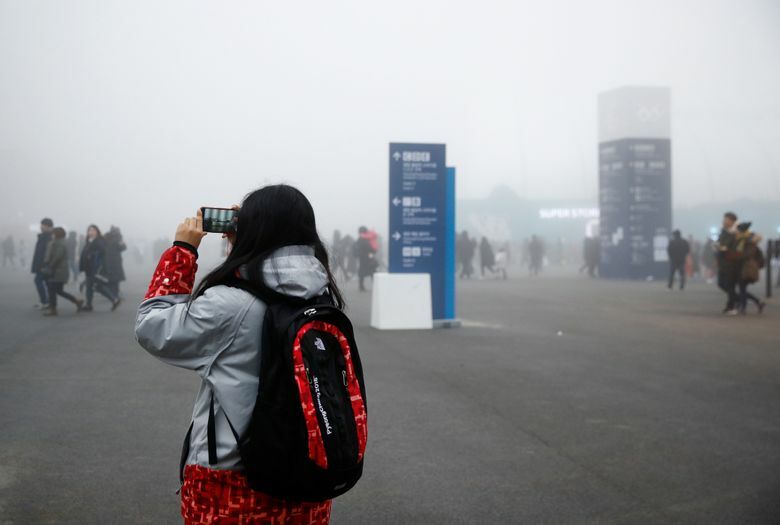 There are thousands of them who do thousands of jobs, largely removed from the glamour of the Olympic spectacle: They direct traffic, help confused fans find their buses, shiver in security booths in the frigid cold. They save the Olympics millions of dollars in labor costs. To Shin, a 20-year-old college student in Seoul, it is payment enough to stand for a few seconds within spitting distance of history, to meet people and experience things that might cause her to see the world differently than she did before. So she often shows up at the Gangneung Oval hours before her shift is supposed to begin. “Just for the kick of it,” she says. 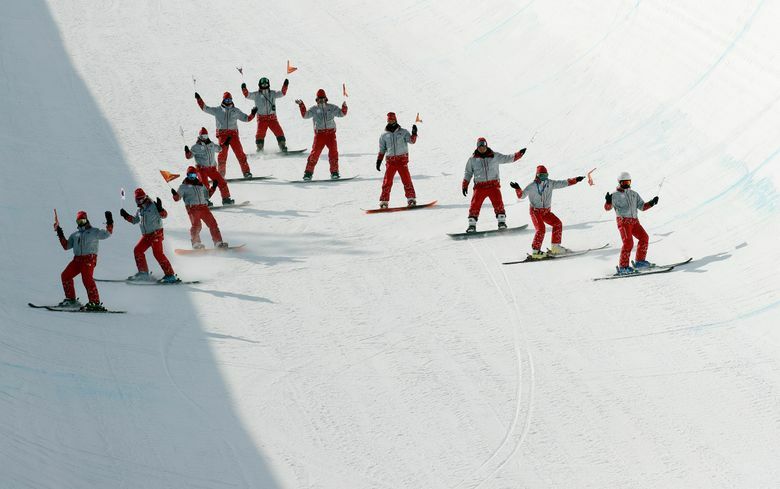 In the 2010 Olympics, 57 percent of volunteers were women. That rose to 70 percent during the Sochi games in 2014. In Korea, where young men face mandatory military service, 78 percent of people who applied to be volunteers were women, according to the local organizing committee. In the early days of the games, local media reports were filled with stories of disgruntled volunteers leaving early. Their complaints included shoddy living conditions, bad food, cold showers and being left in the sub-zero weather waiting indefinitely for the bus to shuttle them to crowded dormitories hours away. The organizing committee apologized and promised to treat their free labor better. 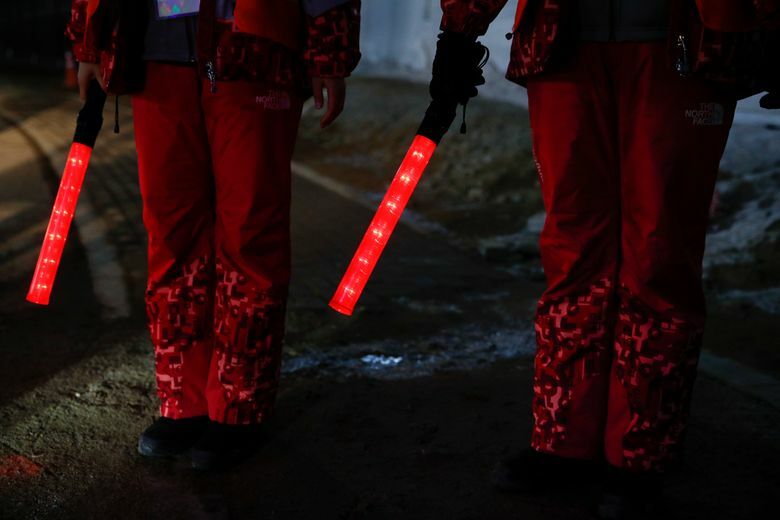 An Norovirus outbreak swept through the games, infecting dozens of volunteers and leaving others in quarantine. And still more than 14,000 volunteers trudged on through the games, through the cold and the long drives on shuttle buses and occasional bouts of abuse. Shin’s team at the Gangnueng Oval guards a gate that blocking a short stretch of the hallway circling the arena, where they park the Zambonis. The job of these young women is to stop anyone who tries to pass, and tell them they have to turn and walk all the way around the other way. It’s a 20-minute inconvenience for athletes, photographers and executives in a hurry to get where they need to be. Many get angry. Some scream. “I’m so sorry, you can’t come through here,” 22-year-old Lucy Hwang has said again and again, every night for weeks. One executive, his temper flaring, began berating her, taking photographs of her badge and insisting he’d get her in trouble, in this job that she does for free. Her manager chased the man down and he promised he’d come to apologize, but he never did. Hwang went home early that night. When she returned, she told them she didn’t want to guard the gate anymore, and they agreed. 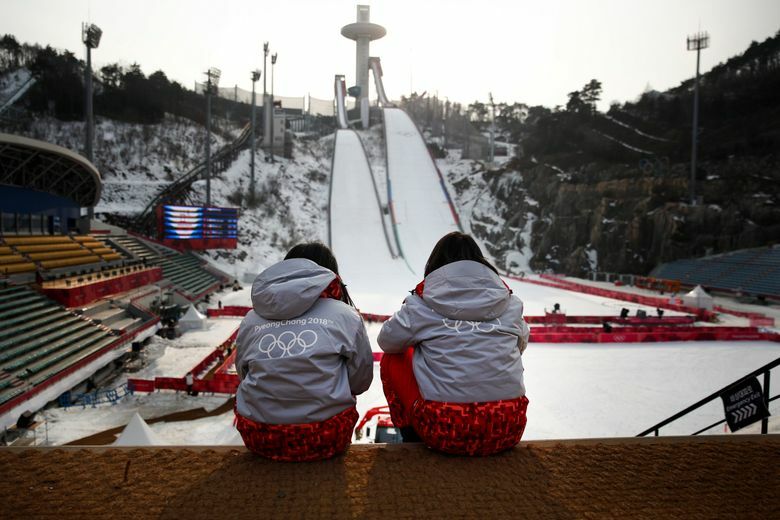 Hwang grew up here in Gangwon Province, a rural, down-on-its-luck former coal mining community that launched a years-long bid for the Olympics in an effort to remake itself as an international winter sports destination. Exactly 30 years ago, Lucy Hwang’s mother was her age and volunteered for the Olympics in Seoul. 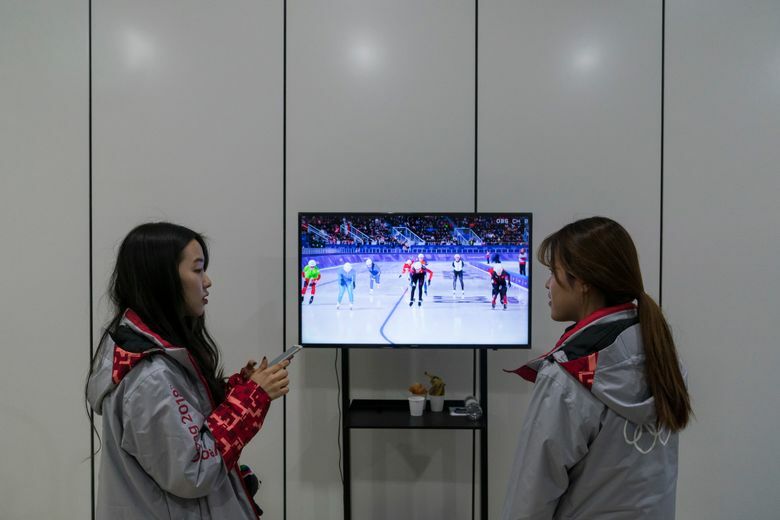 The two women look exactly alike; their family and friends have a nickname for them in Korean that translates roughly to “30-year-apart twins.” Hwang remembers when the announcement came on television that Pyeongchang had won the Olympics on its third try. Hwang loves that people can spot the volunteers because of their loud and matching uniforms. Once, a group of photographers asked her for a bar recommendation. She gave them directions to one of her favorites, and they invited her to come along. She did, and now she has friends from Serbia, from the Czech Republic, from Japan. She’s been busy, so she didn’t have time to think too much about all she had seen. On her last night at the oval, she said she wished she could have just a few more days. “I realize it is actually so special to be here,” she said. Her one complaint: those loud gray-and-red uniforms. “We’re all like, ‘The designer should wear this all the time so he has to know the humiliation,'” she says. Then another lost fan spotted the marbled beef print in the crowd, pegged her as a volunteer and asked for directions. 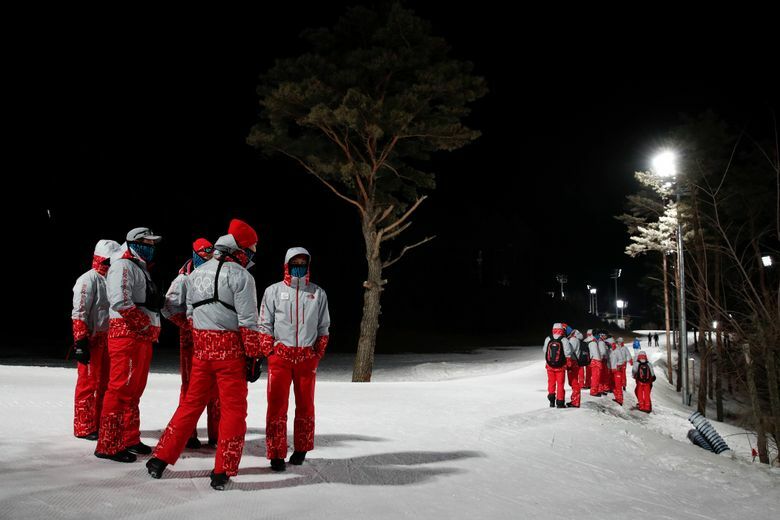 Claire Galofaro, Appalachia correspondent for The Associated Press, is on assignment in Pyeongchang covering the 2018 Winter Games. Follow her on Twitter at @clairegalofaro.